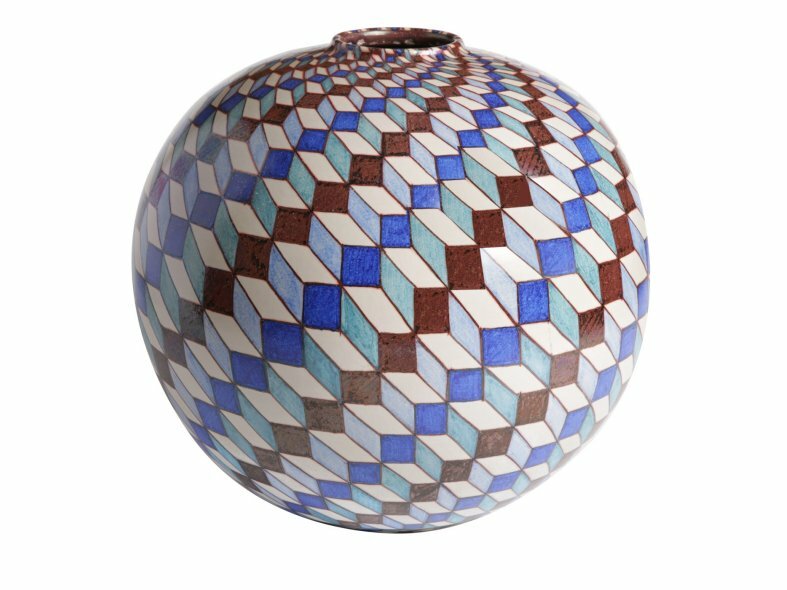 This exquisite round vase is crafted on a lathe and hand painted. 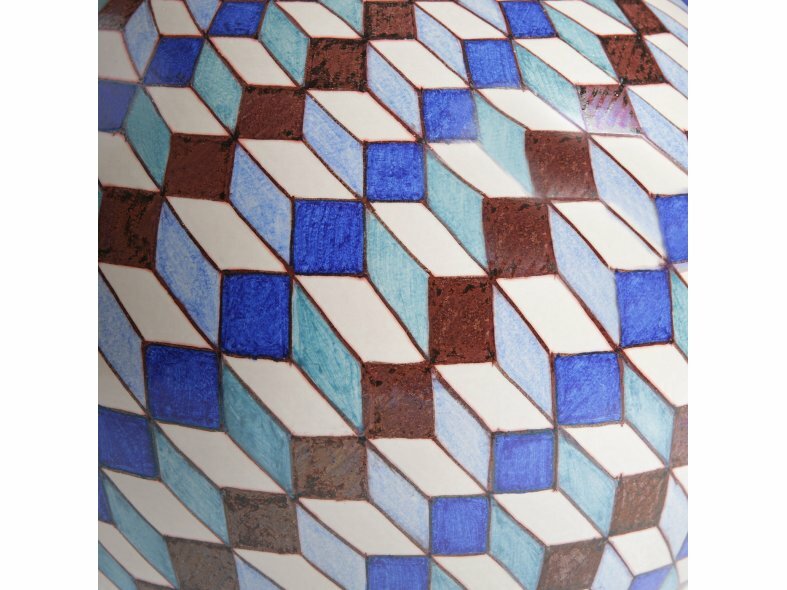 The surface of this unique piece in shimmering majolica is decorated with a series of cuboids in brilliant shades of blue and brown that create a captivating pattern. 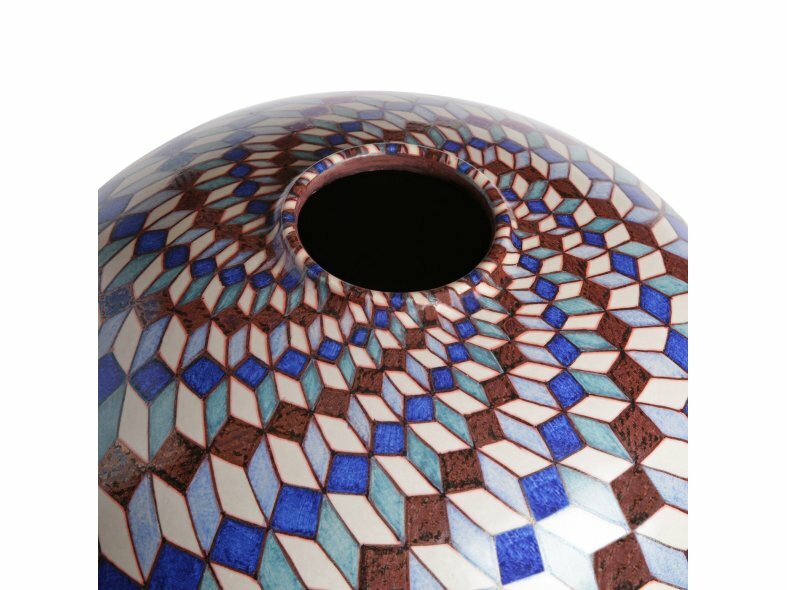 Because of the height of this piece, it can be positioned on a shelf or on the floor.